+ 10% with each deposit! 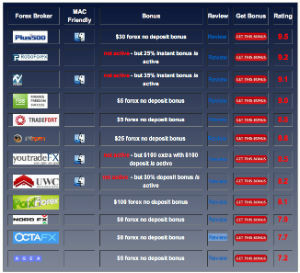 ICM Capital temporarily offers a $100 forex no deposit bonus to all new traders. It's not for all countries though, so check their restricted countries list. In addition, ICM Capital offers a 10% bonus on each deposit. 1. This promotion is available to new accounts only. Standard account opening procedures apply. 2. $100 trading credit bonus is for trading purposes only and cannot be withdrawn. 3. $100 trading credit bonus is a one off payment and will be issued once the account has beenactivated. 4. Subject to all requirements having been met, the $100 trading credit bonus will be paid into theclients live account within five business days of all documents and application form having beenreceived. 5. The $100 trading credit will be withdrawn 1 calendar month after being deposited to theclient’s ICM Capital trading account or once a withdrawal has been made by the client. Any withdrawals of profit made from the $100 credit bonus must be funded to a bank account which matches the ICM Capital account holder’s name. 6. ICM Capital’s standard leverage is 1:100, therefore to open a minimum trade lot (0.1) $100 is required, with equity of $99 or less a trade cannot be placed unless further deposits are made. 7. We reserve the right to exclude any client from this promotion if we believe they have breached any good faith of this promotion. 8. This promotion can only be used in conjunction with one trading account per person. 9. Promotional period is from 3rd September to 3rd October 2012.